PROGRAM: David Maslanka: "Mother Earth," Frank Ticheli: "Rest," Modest Mussorgsky (arr. William Schaefer): "Night on Bald Mountain," Steven Bryant: "In this Broad Earth," Percy Grainger: "Molly on the Shore," Alexandra Gardner: "Perseids," and Richard Wagner (arr. Robert Longfield): "Ride of the Valkyries." 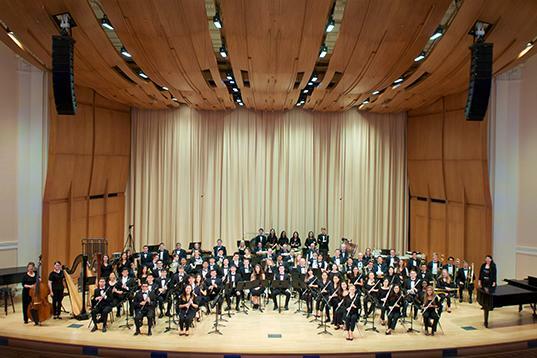 The Duke University Wind Symphony is directed by Verena Mösenbichler-Bryant.